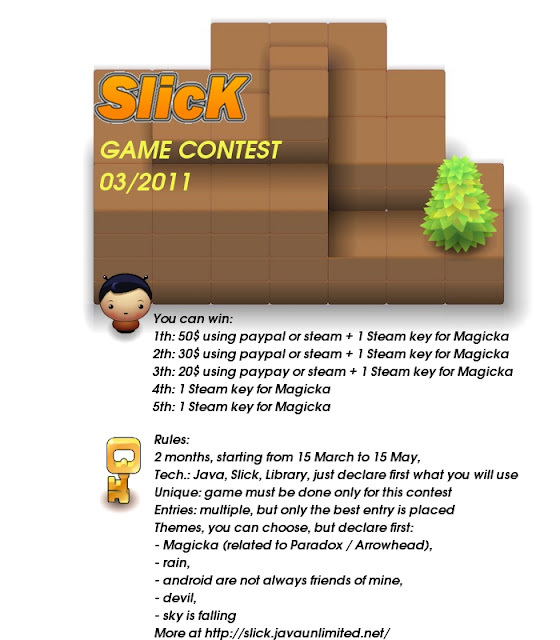 Java-Gaming.org > Games Center > Contests > Slick2D Game Making Contest! Head over to the forum to sign up. Re: Slick2D Game Making Contest! Isn't that picture from a Pulpcore demo? No, that's from a free spritesheet released on the LostGarden.